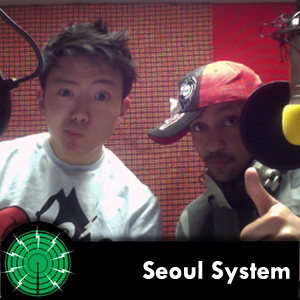 Bringing you the best in Korean hip-hop and R'n'B. Kwon and Sebastian play the hottest new tracks, from the classics from the still relatively young Korean hip-hop scene, and to the underground gems, rarely heard outside the Korean peninsula; whilst introducing a little about the history of Korean hip-hop, and discussing the current hip-hop scene in Korea. Part two of Seoul System's interview with Korean underground artist, MC Jazzy Ivy. It's a new season at Seoul System - Seb and Kwon are back from their break and they play some of the best new music they've been listening to over the Autumn, including Tracks by P'Skool, Supreme Team, Pinodyne and Soul Company. Seoul System goes rock! Seb and Kwon listen to 'Nine Ears' who try to mix Hip-Hop and Rock music, but concludes when it comes to rock and rap, it's got to be Seo Taiji. More Hip-Hop and R&B from Smokie J, Drunken Tiger and Ra.D.